Halloween is just around the corner. Okay, maybe not just around the corner, but if you are making your own costumes it will sure feel that way. Today I am excited to share with you some easy DIY Disney Costumes that you can make for under $20 each! I love making my family’s costumes but I am going to tell you something, I am not a seamstress. I can sew a little bit, but I am not going to make an elaborate costume. So I love making costumes out of items I can find almost anywhere, so don’t think you need to be able to sew to make these. Even those I did a little sewing on, you can probably find a work around. When wanting to do a Disney inspired costume for cheap there are a few things to keep in mind. First, don’t aim for perfection. 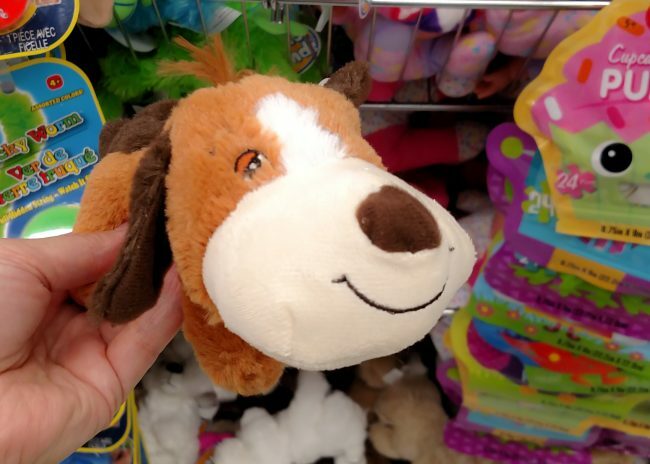 You want to be close enough that it is obvious who you are, but you may not be able to find the perfect item that looks exactly like the one your character wore. 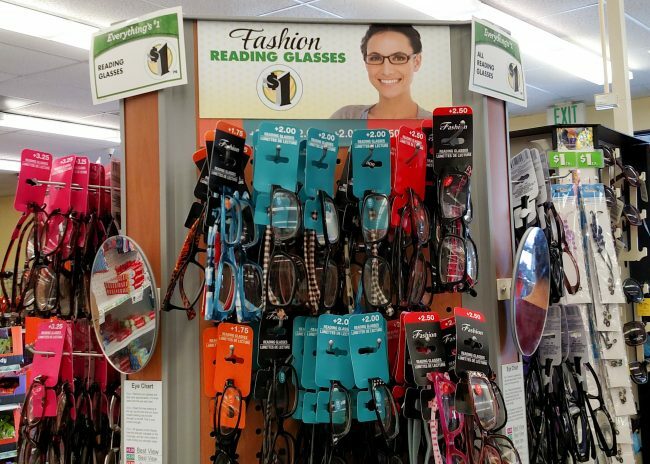 Second, thrift stores and dollar stores are your friends! You can find so much great stuff at thrift stores to make costumes out of. 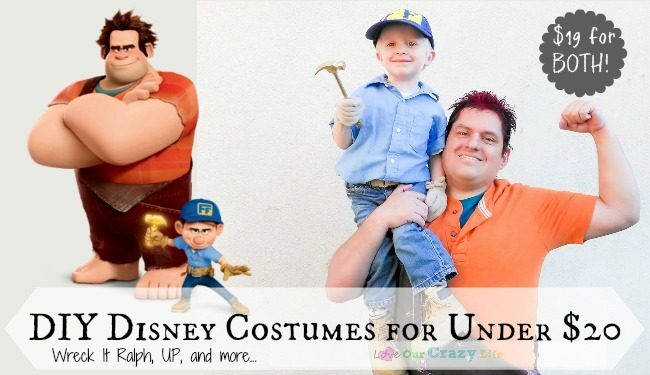 Today I am going to show you 2 father and son costume ideas, how we made them, and then share some other costume ideas with you. 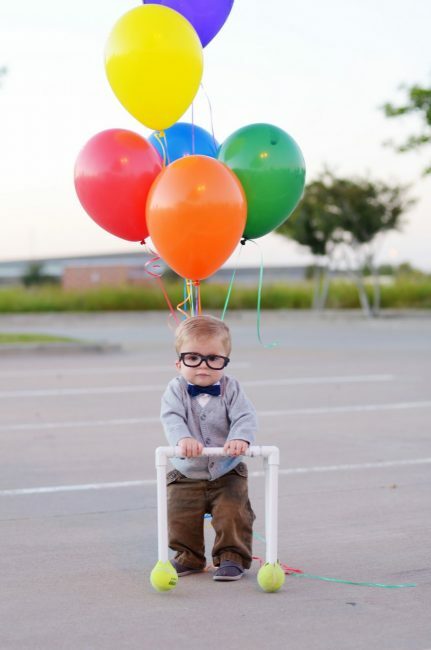 I was inspired one year on Pinterest when I saw a picture of a little boy dressed as Carl. The pin just led to the image on Google and I have no clue where it originated- but it is so cute! I decided that year that The Goof was going to be Carl. Then when I was at the thrift store shopping for a sweater that would work for the Carl outfit, inspiration hit when I saw a large yellow polo in my husband’s size. This entire costume cost us $25- for both my husband and son. So that is way below $20 each. If we had gotten fewer balloons it would have been under $20 for each. So here is how we did it. When doing costumes on a budget, take inventory of what you already own. You might be suprised what you can come up with. One year the Goof was a farmer, and it was with items we already owned other then a bandana we picked up. So go take a look in your closet for inspiration before heading to the store. So how did we do the rest of the costumes for under $25? Merit Badge Sash: FREE! You could easily borrow one from a boy or girl scout but we actually made this one from an old T-Shirt of mine and the badges are made from paper. That way we were able to leave it empty where Russel was still needing his Helping the Elderly badge. Balloons: $5.75 This is where we spent some more money. You could also just get balloons and blow them up and then use wire or something to make them stay up, but we just went and got balloons from our local party store. Total Cost: $24.75 for 2 costumes! 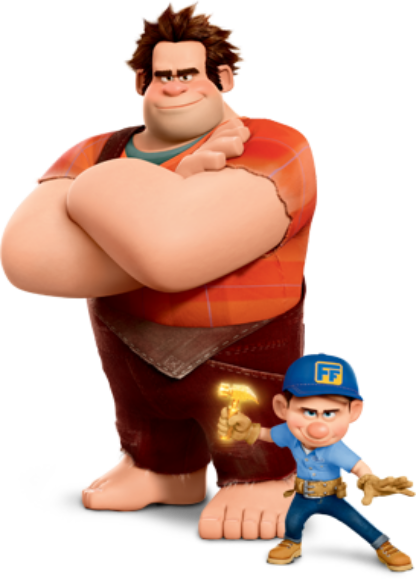 The next year I knew exactly who we wanted to be: Wreck It Ralph! Now, I was Vanellope, but my costume was a lot more work, and probably a little more than $20 by the time it was done, so today I am going to share how we made our Ralph and Felix costumes for under $20 for BOTH! The thing I love about this costume idea is that you probably already have a lot of the items! For the Goof we already had his jeans, the boots, and a white undershirt. Mike, well, him we had to get everything. With needing a full outfit for my husband, and probably half an outfit for the Goof, how did we keep it under $20? Pretty easily. Hat: $1 at the dollar store. 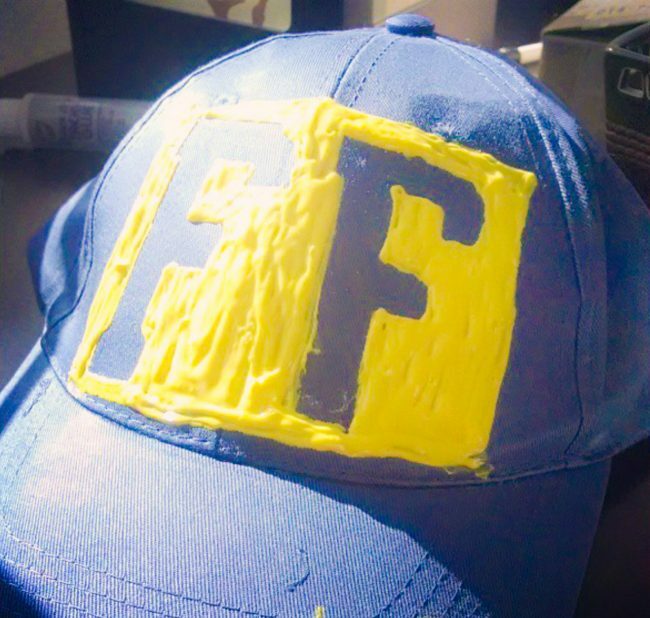 Used puffy paint I already had to put the yellow on it. 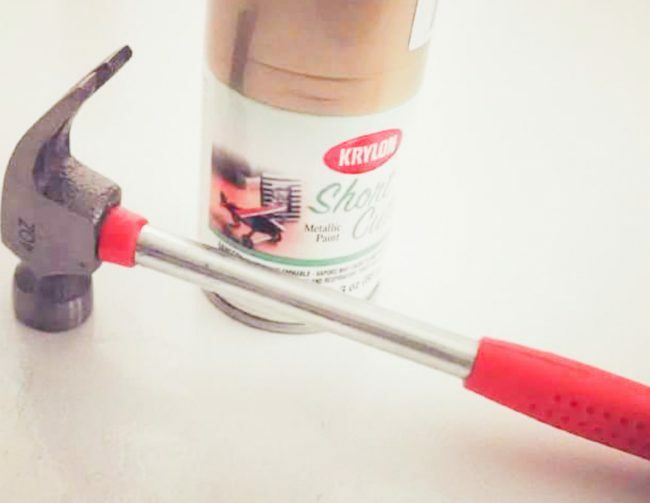 Hammer: $1 at the dollar store (they had cute little hammers, if you can’t find one there, I know Lowe’s sells some for $5) plus $1 for gold paint. Belt: $4 picked up materials to make a simple loop belt (like I wore in the 80s) and then we also put a little loop on it to hold the hammer. Gloves: $2 Purchased fleece and made gloves out it. Shirts: $5.50 Found both shirts (the orange one and teal under shirt) on super clearance at JC Penney. Overalls: Found a pair of Painters Overalls at the thrift store for $3…but they were the wrong size! Asked around and scored a used pair for FREE (put an ad on Craigslist if needed). We just purchased 1 packet of dye for $2.50 and dyed them brown! My husband later picked up temporary hair dye. I have no clue how much it costs, but since it is not necessary for the costume, I am not adding that in. Total Cost: $19 for two costumes! 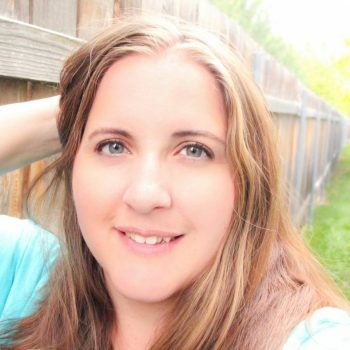 Looking for other DIY Disney costumes you can do for cheap? 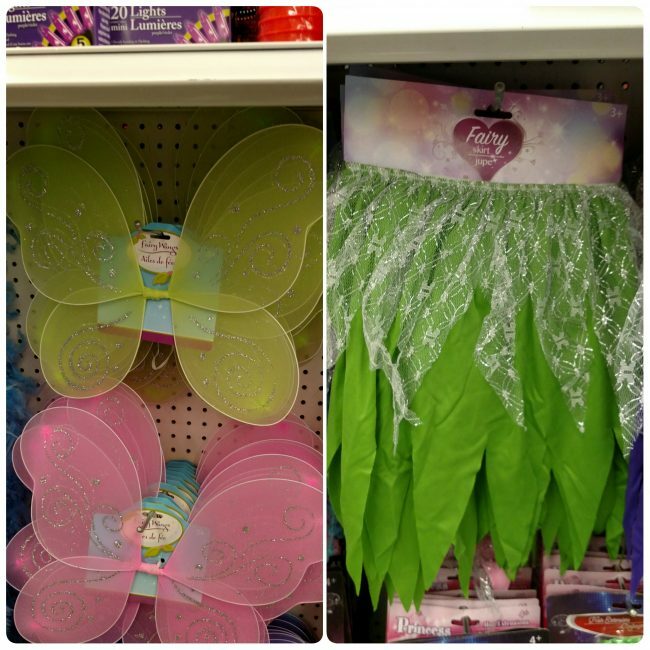 At the Dollar Tree the other day I noticed Green Fairy Skirts and fairy wings. Add a green shirt or leotard and some cute yellow slip on shoes- you have a great Tinkerbell outfit! A blue dress from a thrift store could easily be made into a nightgown to be Wendy Darling, or add a white apron and be Alice. Cargo shorts, red T-shirt, and dark zip up hoodie could be Hiro from Big Hero 6. The possibilities are endless. All it takes is a little creativity and some bargain hunting. 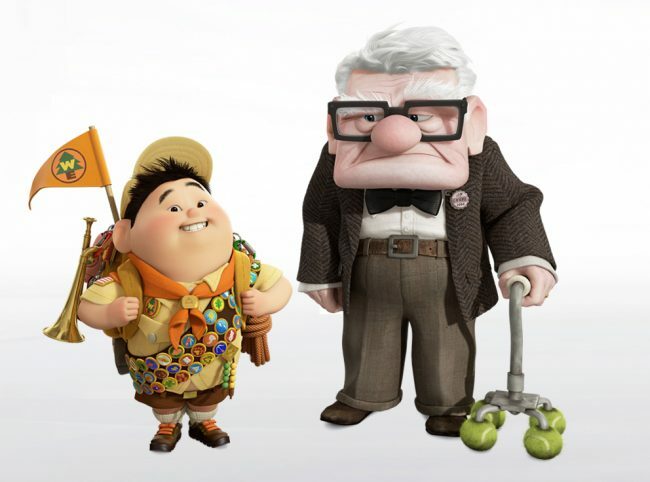 The UP costumes!!! I die. They are adorable. And your husband is a great sport too! Those costumes look great! You’d never know you spent so little money making them. Love it – this is how we usually do costumes too, by putting together bits and pieces we already have and heading to the thrift store for others. 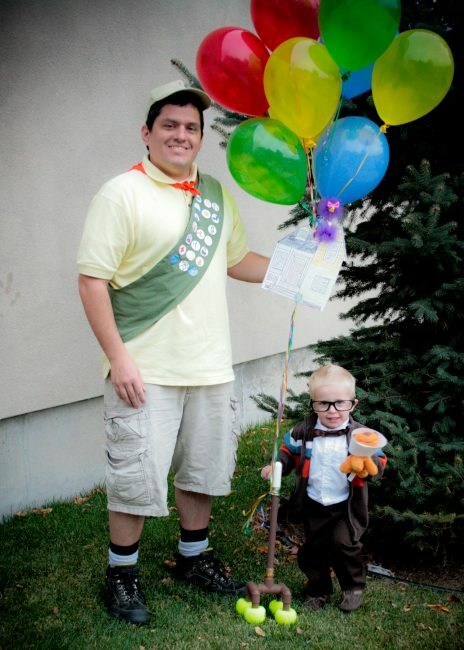 The Up costumes are adorable. And Wreck-It Ralph is perfect because my husband and I decided we’re going to be Ralph/Vanellope this year! I was wondering where I’d find brown overalls but the dye is a great idea! These are so cute! 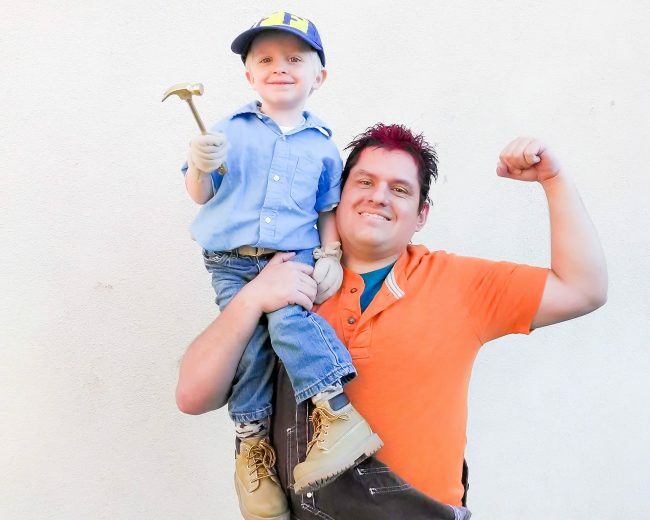 I’m kicking myself for not thinking of Fix-It Felix and Ralph for my husband and son a few years back! You did an excellent job on these costumes!